We all know the importance of wearing SPF. However, finding the right facial SPF is no easy task. I don’t have greasy skin, but add too many layers and everything just sits that bit heavier. In the heat, that’s a feeling I definitely try to avoid, especially if it makes my makeup slip off. Luckily, facial SPF’s have come a long way from those thick gloopy creams that literally made your face go white – not a good look! The protection element is of course important and I always go for an SPF of 30+ that protects against both UVA and UVB rays. Likewise, how well it sits under my makeup is just as important. In other words, I don’t want to see or feel it. So to find not one, but three facial SPF’s that I get on with is an accomplishment for me. They tick all the boxes and surprisingly it’s a process I now enjoy rather than loathe. Read on to find out which ones have made the cut. Not only does this SPF provide that all important protection against UVA & UVB rays, but it contains plenty of skin nourishing properties too. 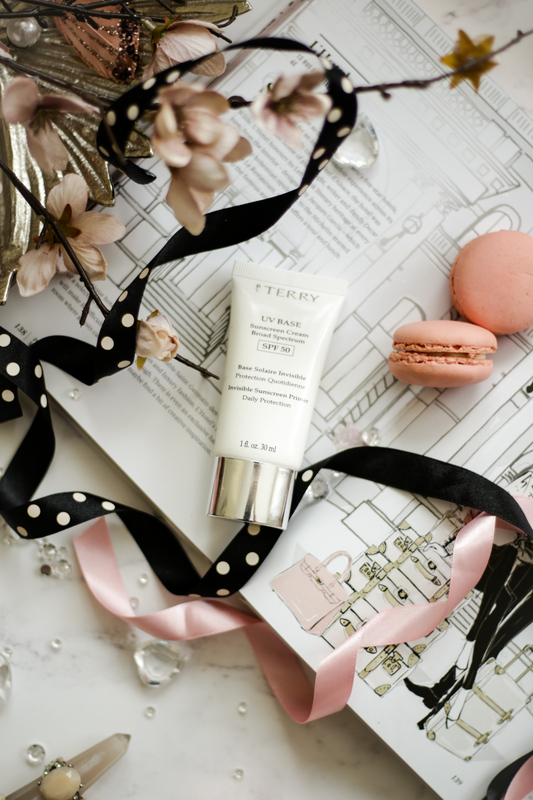 Packed with vitamin b3, lactic acid and antioxidants, this is skincare and SPF rolled into one. 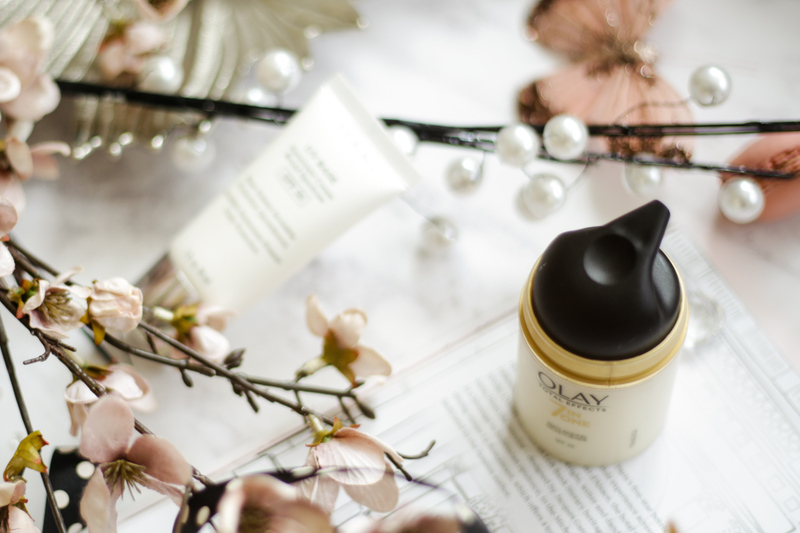 The oil-free formula sinks with ease leaving my skin feeling comfortably hydrated and the collagen-boosting formula helps tackle those age-concerns, leaving my skin nice and plump. Although it’s a creamy, bordering thick formula, there’s no white cast and just for the brightening effect alone, I love it. This also featured in my Skincare post if you want to find out more. 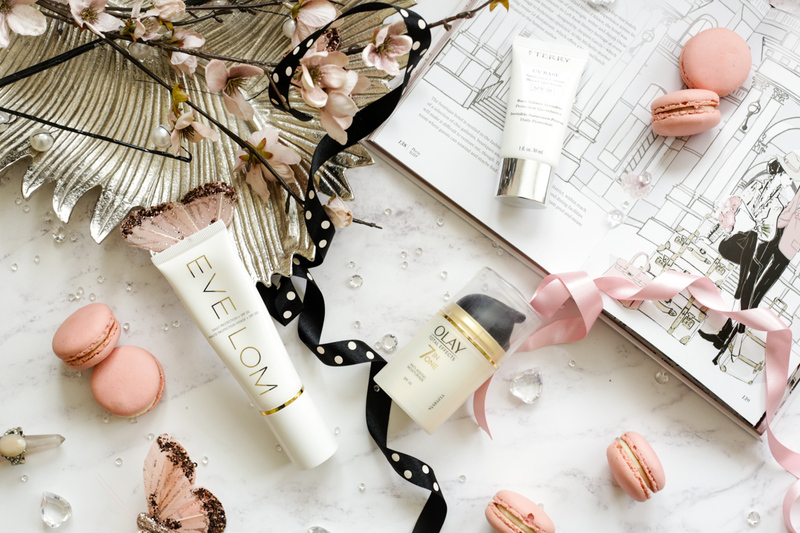 My only qualm is that it’s super expensive at £70, but then Eve Lom is a premium brand and this product does deliver. Talking of skincare and SPF rolled into one, it doesn’t get any better than when it’s incorporated into your moisturiser. For a start it ticks the time-saving and less layers boxes. In my 20’s, Olay was my holy grail moisturiser but out of sheer curiosity I delved into other brands only to forget this. I’m so glad I’ve had the chance to revisit this again as it really is a wonderful moisturiser and the added bonus is that it now comes with SPF. Don’t get scared by the thick texture because this stuff absorbs really well into the skin making it feel super smooth and plump. It makes for the perfect canvas for makeup application and I’ve always attributed the smooth texture of my skin to years of using this in my early days. At £14.99 this is also a great affordable option and a firm staple in my skincare stash. Can By Terry do any wrong? After trying a sample of this, I knew I wanted to buy the full-sized version from the get go. This broad spectrum SPF 50 also works as a primer and has more of a gel-like texture. Lightweight and incredibly fresh-feeling, my skin feels like silk after using this and although some may not like it, I adore that subtle, sweet floral scent this has. Some days I can even wear this in place of my moisturiser but either way it never feels heavy on the skin. Yes it’s pricey at £60, but one I will definitely repurchase. Of course there are many other contenders out there in the market but for now I have my hands full with these three. 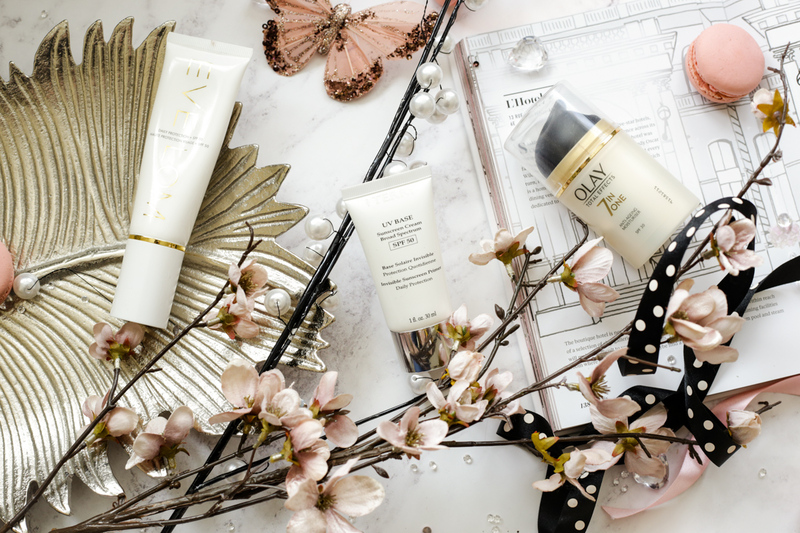 I didn’t think it was possible for an SPF to actually make my skin and makeup appear more flawless and I have to say with all three they do that, proving yet again that facial SPF’s really have come a long way.